When hospitals administer anesthetics to a patient during surgery, the patient adsorbs less than 5% of the total. What happens to the remaining 95% of these anesthetics? 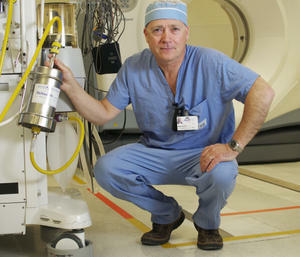 The operating room air scavenging system simply exhausts it into the environment outside. In North America alone, there are approximately 54,000 operating rooms releasing applied anesthetics, which amounts to about 4 million tonnes of CO2 each year, the equivalent of over 1 million cars. Of course, the continued growth of these emissions will follow any growth in the anesthetics market. Toxic and potentially lethal when high dosages are inhaled. There is a concern that vented anesthetic gas is detrimental to human health which is a huge challenge for both the medical community and general public. About 7 times heavier than air, causing them to drop down to the ground. This has an adverse effect on air quality and human health issues in neighborhoods close to hospitals. Potent greenhouse gases with a global warming impact of up to 3,766 times greater than carbon dioxide (CO2). Vented anesthetic gases are extremely poisonous, 7 times heavier than air and very stable, which means that they drop down to ground level and have an adverse impact on air quality and human health issues in hospital neighborhoods. These emissions are recognized under the Occupational Health & Safety Act as a workplace hazard and have the potential to affect staff, hospital visitors, patients, maintenance workers and the local community, etc. Dumping them into the city streets for everyone to breathe hardly seems like an acceptable solution. Scientific Fact: Anesthetics are potent greenhouse gases that carry 20-yr global warming impacts up to 3,766 times more powerful than carbon dioxide (CO2). In any given year, a single average-sized hospital releases anesthetic gas emissions equal to that of approximately 400 cars. Each hospital would have to plant approximately 125,000 trees each year to offset these emissions. Concern: The anesthetic emissions produced by hospitals each year are expected to double. The global anesthetic market grows about 10-15% every year. This means that it doubles every 7 to 10 years, as do their emissions of anesthetic vapours. Hospitals could be using the Deltasorb® Anesthetic Collection Service at minimal cost to stop the emissions of toxic anesthetics into the atmosphere. The Deltasorb® Anesthetic Collection Service provides a safe and environmentally friendly way to handle the venting of harmful anesthetic gases. 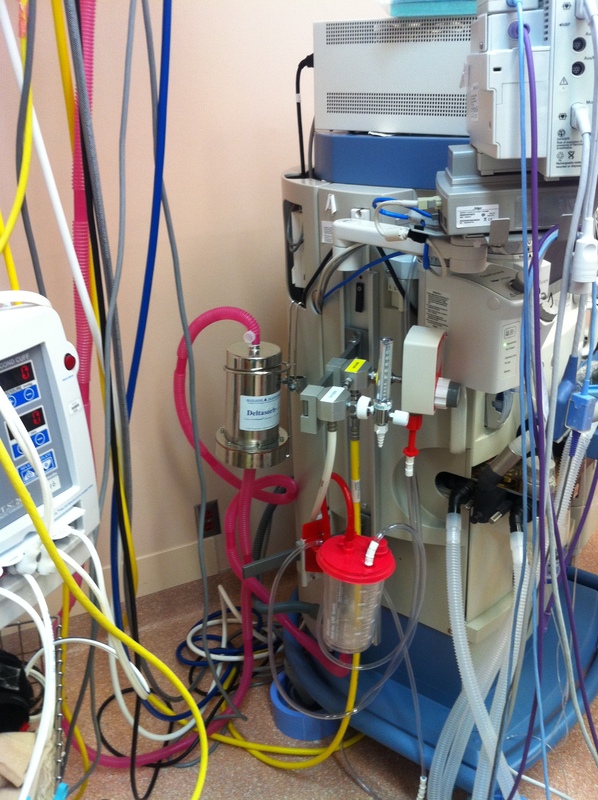 The patented Deltasorb® system captures the halogenated anesthetics right before they are vented. The canister is then brought back to our facility for processing. As a Concerned Citizen, what can you do?